Sistema Biobolsa's Credit Coordinator, Irene, with Don Antonio, a proud owner of a biodigester (featured in the background). Click here to lend to farmers like Don Antonio. On a Tuesday night one month ago I arrived in Mexico City, welcomed by a massive down pour (summer is the rainy season here). By that Thursday afternoon, I was attempting to define key metrics for a credit program in Spanish with one of Kiva’s field partners, a social enterprise called Sistema Biobolsa. My head reeled with new vocabulary words, and Google translate failed me a few times: it turns out en mora means in arrears, not blueberry. That day I attended my first-ever credit committee meeting, which was also the first for Sistema Biobolsa and a historic point in the development of this social enterprise’s loan program. Sistema Biobolsa (Biobolsa for short) is not a traditional microfinance institution like many of Kiva’s partner organizations. 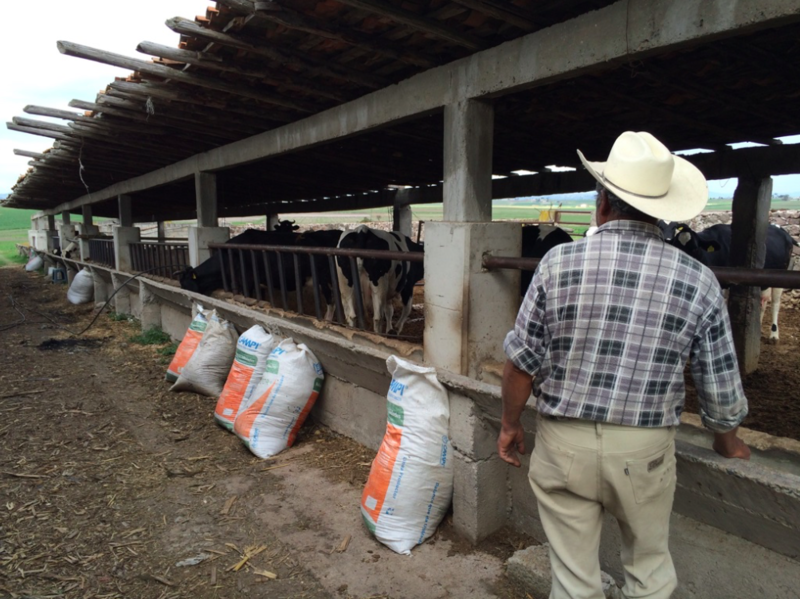 Biobolsa’s main product is a biodigester, which transforms animal manure into biogas and organic fertilizer (this involves many fun new Spanish vocab words, which I’ve repeated under my breath, including estiercol, which means manure). These systems are tremendously beneficial to farmers: whereas unused manure piles up and contaminates the land and water sources, this system enables farmers to utilize the manure to power their stoves, heat their water, and fertilize their plants. Biodigesters not only significantly reduce farmers’ energy and fertilizer bills but also benefit the environment by both reducing consumption of non-renewable energy resources and replacing chemical fertilizers with organic fertilizers. To learn more about Biobolsa’s product and impact, see a prior Kiva Fellow’s blog post, visit Biobolsa’s website, and follow the company on Facebook. 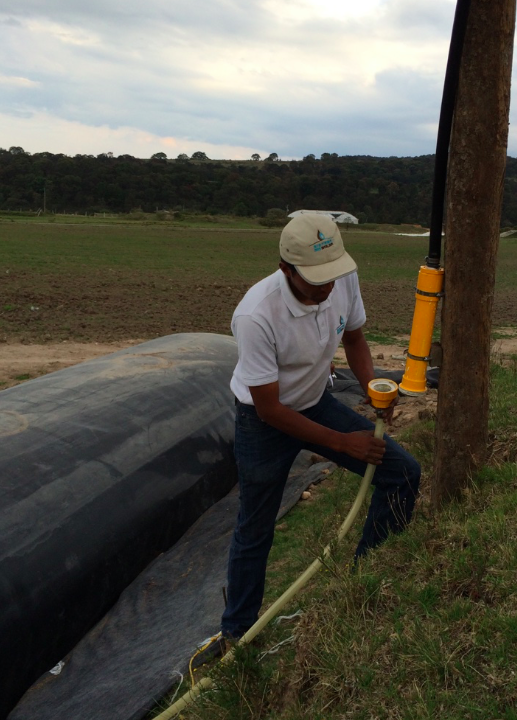 Angel, a Field Technician, checks on a biodigester at a farm near Acambay in Mexico State. So how does Kiva fit in? Many farmers cannot afford to pay for the full cost of a biodgester at the time of installation. By providing 0% capital, Kiva (and Kiva lenders like you) enables Biobolsa to allow their farmers to pay for their biodgesters in installments. Via this partnership, Biobolsa has provided biodigesters to hundreds of farmers who otherwise would not have had access. Passionate about expanding the impact of this innovative technology, Biobolsa staff historically has been eager to provide credit to any farmer who has sufficient interest (and manure) without a full review of the farmer’s capacity to repay. The result? Relatively high delinquency rates and now an exciting new effort to fortify Biobolsa’s credit program. Which brings us back to the first-ever credit committee meeting. How does one assess a client’s capacity to pay when the client often doesn’t have a bank account, any credit history, or even an address with a street name and number? With my prior experience at an online banking company with American borrowers, I am accustomed to requesting pay stubs and bank statements for income verification and utility bills for address verification… what if the client receives cash from selling milk and lives on an unmarked dirt road 30 miles from the nearest town? Welcome to microfinance. A view of the countryside in the Mexico State. The farmers whom we visited didn't have addresses with street names or numbers. This was our first of many stops to ask for directions! Though seemingly worlds apart from the credit decision process for $35,000 personal loans in the US, the underlying principal is the same: does the potential customer’s income sufficiently cover his/her costs and any other debt obligations? Biobolsa worked hard to develop a series of questions about number of animals, types of crops, annual payment cycles, size of family, food costs, education costs, etc. Biobolsa then implemented customer relationship management software called Salesforce and a data collection application called Taroworks (a Grameen Foundation company). This app enables Field Technicians and Sales Representatives to enter information on their smart phones in the field and later upload to Biobolsa’s Salesforce database once they have an internet connection. With this tech solution, Biobolsa can capture a large amount of essential information about each customer in remote rural regions without a pen and paper. Once the Sales Representative has input answers to all of the credit survey questions and uploaded it from Taroworks to Salesforce, the new Credit Coordinator reviews the information from her laptop and depending on the size of the loan, either decisions the loan herself or schedules a credit committee meeting. Don Antonio feeding one of his 30 cows. 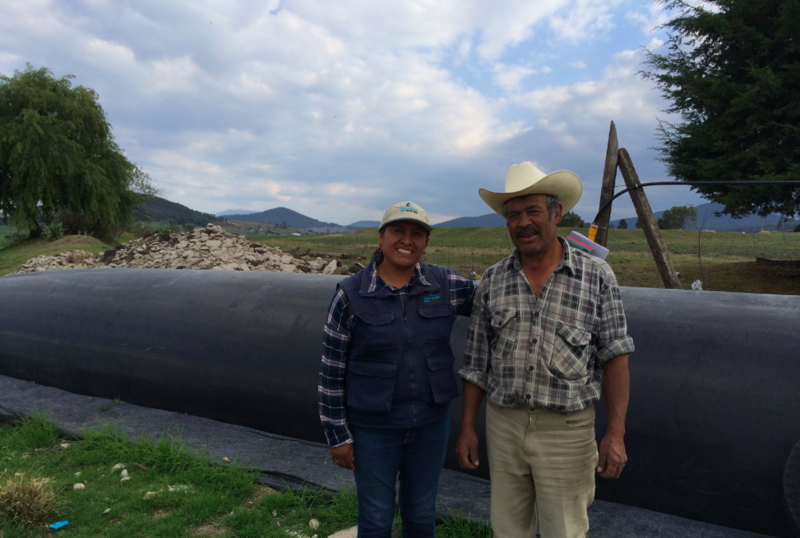 Sixty Kiva lenders contributed to Don Antonio's loan, which he is paying back on time. Applying a critical lens: If you have 30 pigs, why don’t you have any costs for animal feed? How are the credit committee meetings going? To date, Biobolsa has not turned away any farmer based on his/her capacity to pay, though they have adjusted loan terms to reduce risk. Understandably, Biobolsa wants as many farmers as possible to reap the benefits of a biodigester. However, to minimize portfolio risk and ensure profitability for the company, farmers who do not have the capacity to pay the required monthly installments will need to be declined. As learned in the first few credit committee meetings, in order to make an educated decision to approve or decline a farmer for a loan, Biobolsa needs to have complete information. A training took place yesterday to both teach Sales Representatives how to ask the questions in the credit survey and emphasize the importance of capturing all information possible for the credit survey. Given this credit survey information, it is then up to the Credit Coordinator to critically analyze the stated information, asking questions such as: Could a family of five really live on 150 pesos a week? and If the farmer has 30 pigs, why does he never have any costs associated with purchasing or raising pigs? It will require a significant mind shift for Biobolsa’s Credit Coordinator, previously a Sales Representative, to begin assessing credit applications with this level of scrutiny. Focused oversight at the outset and an upcoming training will ensure that she’s developing a more critical lens. Biobolsa’s Credit Coordinator is also incentivized to make wise credit decisions because she is responsible for collecting on the loans afterwards! Don Antonio showing us his cows. Thanks to his Sistema Biobolsa biodigester, he now uses his cows' manure to heat water for his home. As with any overhaul of systems and processes, change management is critical to ensuring a successful transformation. Biobolsa has been quick to address challenges as they arise and has made astounding progress in implementing Salesforce, Taroworks, and a new credit process in only six months. Now the question: will it work? I have the privilege of witnessing and contributing to the implementation of this “rural microloans 2.0.” Check back to read my next blog post to see what progress has been tracked before I board a plane back to San Francisco in mid-August! 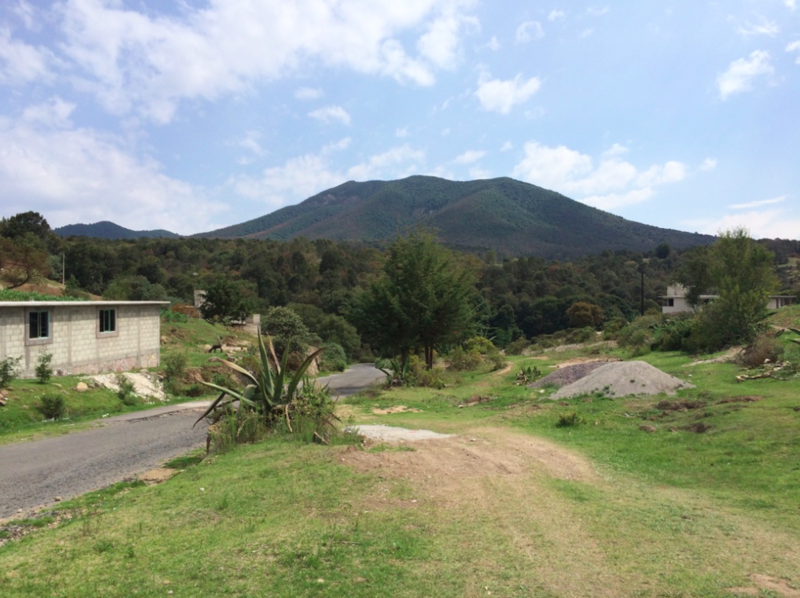 Your contributions enable Sistema Biobolsa to expand its outreach to more farmers in Mexico. Click here to lend to farmers on Kiva's platform. As the farmers pay back their loans, you receive your money back and can reinvest in another farmer! 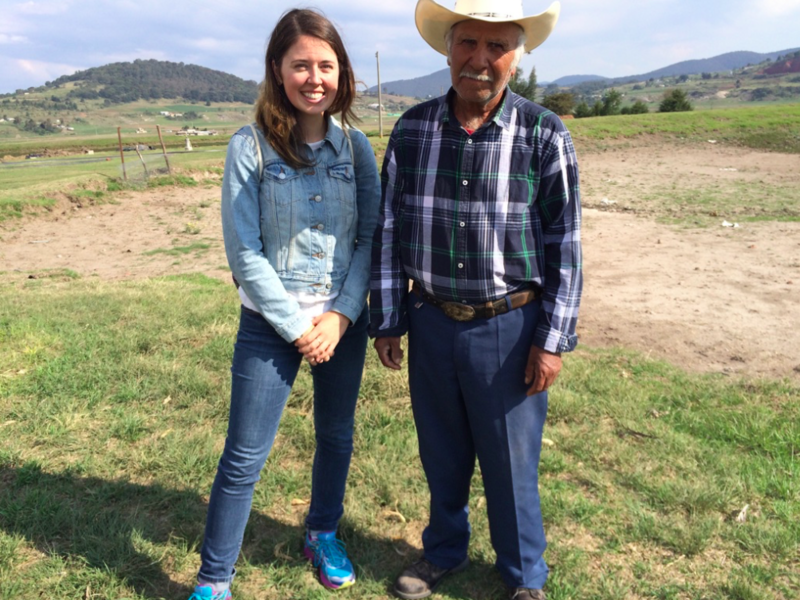 Don Pedro and me on his farm. 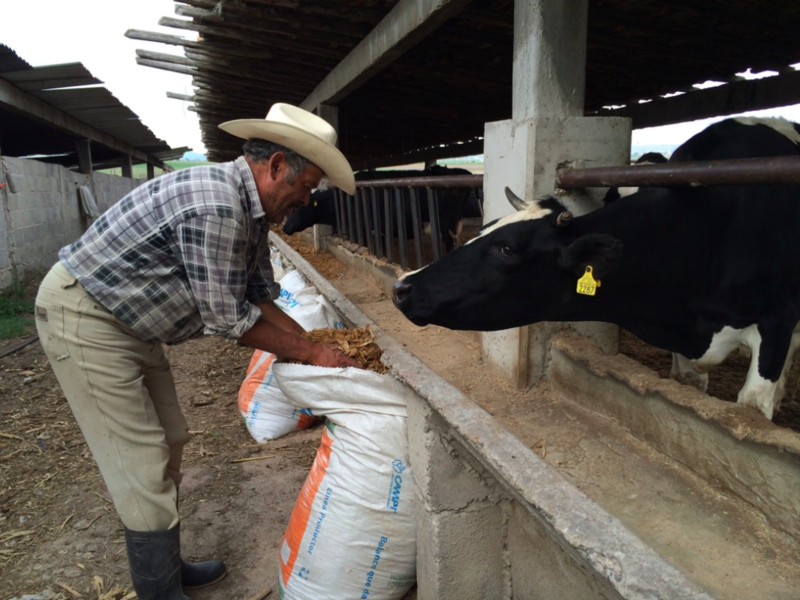 A dairy farmer with 23 cows, Don Pedro has already paid back half of his loan. His daughter-in-law is now using biogas from the biodigester to cook for the family. Catherine is eager to apply her knowledge of the FinTech industry to her work as a Kiva Fellow and to gain hands-on experience in microfinance before starting business school at MIT Sloan in the fall. She has spent the last three years working at Lending Club, the leading online credit marketplace in the US. While at Lending Club, Catherine worked to develop the training and data infrastructure necessary to grow the Operations Department from 70 to 550 people. 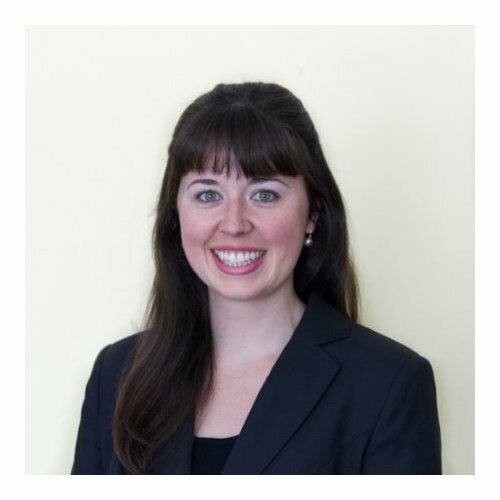 Catherine's prior experience is in the non-profit sector, having worked for Teach For America, City Year, and Dui Hua. In her spare time she enjoys biking, yoga, and going to concerts.